Starting with this article, we propose to our readers a journey through the mysterious and charming universe of the runes. Much has been written about these ancient symbols of knowledge. What we offer in the following articles is a small guide for rune divination, clearly explained. Going through the Rune’s Wheel, explaining them two by two, depending on the way they can be positioned, and learning their interpretation. Why are the runes useful? What purpose do they serve? We’ll try to answer these questions from multiple points of view: divinatory, magical and ascensional. Runes have ascensional purpose, meaning they can help people going through ascensional and evolutionary processes. Every culture on Earth functions on certain informational codes, those vibrational light keys encoded in everyone’s DNA. Today, every embodied spirit has these keys in its spiritual DNA, depending on its origin and evolution. Certain spirits have sound and colour keys, and mostly present in shamanic cultures. Other spirits have sanskrit sounds as vibrational keys, these embodied in European and Asian regions, finding joy and spiritual fulfillment by studying Hindu and Buddhist scriptures. Other spirits have a semitic spiritual gene, their DNA being structured by Hebrew coordinates, finding spiritual fulfillment through the study of Kabbalah. There are a few major families of primordial languages, or better said, light codes, and their study would take a long time, but its enough to say that nordic runes, or the old Futhark alphabet, represents one such family. Many are attracted to runes because these are part of their spiritual genetic code, or as the old nordic poets said, runes are in their blood and souls. By using the runes, certain people discovered not only a huge interest in knowing more about them, but also a special evolutionary and spiritual leap. Wisely and moderately used, runes reopen the energetic channels of people resonating with them, and helps them reactivate the subtle structures that have been lost or dormant. Despite recent popular belief, initiation is not needed to link through runic energies, nor paying for Reiki or biodetection systems attunement, reason being they use runic symbolism. Those possessing runic origin light codes will naturally be attracted to them, unhindered and intuitively working with them, without the need of diplomas or prestigious lineages. Although belonging to the Old Era, they don’t belong to the Old Energy, unless we want to. Good runes work can be done in the New Energy, providing they are treated as intimate messengers of our own genetic language. From a magical standpoint, runes can be used for manifold purposes, but again, the subject is so vast, that we can’t even begin discussing it, making it the object of the science called Runology. However, we’ll talk about the divinatory nature of the runes, meaning their use to access information, namely Runomancy. As any other divinatory system; be it Tarot, Bibliomancy, Radiestesia, Oneiromancy etc., Runomancy offers a wide array of information, depending on the knowledge we seek. It is not a method for future predictions, although it can offer informations on subsequences by predictability, nor a method for spying on others, although it can sometimes spare us of the inconveniences that others might impose on us. Simply put, runes are the intermediary language between us and the unseen, superior world, if used properly, an alternative tool of communication from the subconscious or superconscious. Where does the information come from? From Angels? Devils? Gods? From the Holy Spirit? Neither. There is no specific source, nor an entity delivering answers, but ourselves. 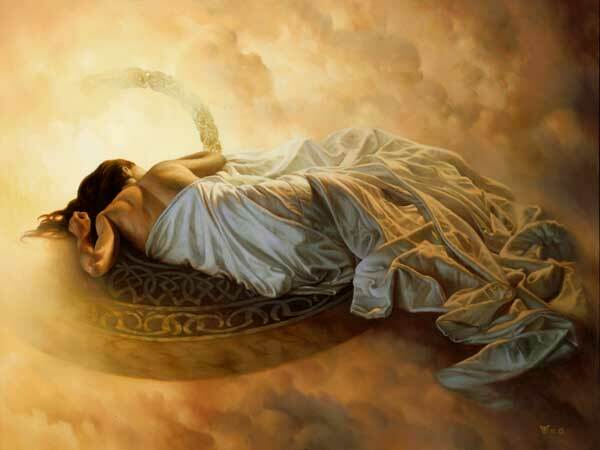 Integrated in our structures, there is the Inner Self. It must not be confused with the Ego, nor personality, nor with the notion of something inferior or negative. It’s the counterpart of the Superior Self, manifesting as the human autopilot, a soul being most often seen as childish by clairvoyants. It interferes when we need information, or use our instinct and intuition. The Inner Self has access to all possible informations, for being part of a Inner Selves Universal free network: those of minerals, plants, animals, people and even of the planet itself. Because not everyone can directly connect to the Superior Self, people turn to the Inner Self. Every time we instinctually choose between two options, every time we forbear action when it doesn’t feel right, or simply know something without being told, it is this Self acting. This connection is most often met between mothers and children, and twins, intuitively knowing when the other is in danger, or needs help. Most people, erroneously allot these things to the sphere or Telepathy. Telepathy is mental, consisting of words, thoughts and concise formulating, whereas the Inner Self uses the whole array of human senses, from body sensations, emotions or feelings, to inexpressible emotional conditions. Whenever using a divinatory technique, we turn to the Inner Self. The Inner Self determines the best expression of answers by accessing the informational field. If using the Tarot, we’ll pull the most expressive card concerning the situation. If using the pendulum or divining rod, these will send signals to our brain producing incredibly subtle muscular movements, which will guide the muscle by moving the object until we have a movement we can interpret. If using Runes, we’ll pull the most suitable runes, in the most expressive positions for a specific answer. Nothing is haphazard, and nothing happens without the awareness of universal intelligence, that being an aspect of God. Great, the Inner Self does all the work, you’ll say! What about the Superior Self? The Superior Self is our help in the art of divination. It is the wisdom that we turn to and must demonstrate. 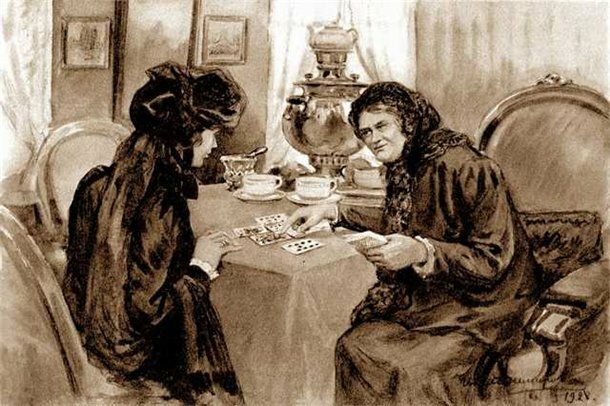 Lacking a good and clean connection to our Superior Self, makes divination difficult, arduous and imprecise. After our introduction into divination, we’ll now dive into the Nordic Arcana, into using runes. Where do they come from? How are they organized? How are the runes used? From a historic perspective, the runes used by the nordic people emerged from proto-latin alphabets, or possibly fenician alphabet brought by merchants. Scientist haven’t yet concluded their origin. From mythical perspective, they have an interesting story: obtained by the god Odin, acclaimed among germanic people, from the guardian of the Tree of Knowledge, the giant Mimir. Odin sacrifices himself, spending several nights pierced by the tree, receiving during his suffering the knowledge of the runes, later revealing it to humans. In the nordic world, Odin’s sacrifice, is not seen as an atrocious act, but a necessary one, delivering a priceless gift to humanity, same as Osiris’s death for Egyptians and Jesus’s for Christians, are celebrated as initiatic thresholds and cosmic events. The icelandic set contains 18 Runes, based on nordic, old magic keys, Iceland being long thought as the last Thule or the last remnant of Atlantis. The classic set, which we will study, contains 24 signs and is the most wide-spread, also known as Elder Futhark, while the Anglo-Saxon, the most complex, contains 32 signs encompassing great wisdom, together with multidimensional sacred geometry keys. 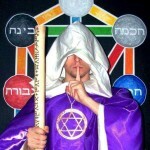 Our inquiry shows existing ways to activate the human crystal field Merkabah by using this set, through special techniques. Classic runic alphabet, that we’ll slowly slowly explore, has 24 runes, each with it’s own sound, name and meaning. Divided into three sets (aettir), each pertaining to a tutelary god. 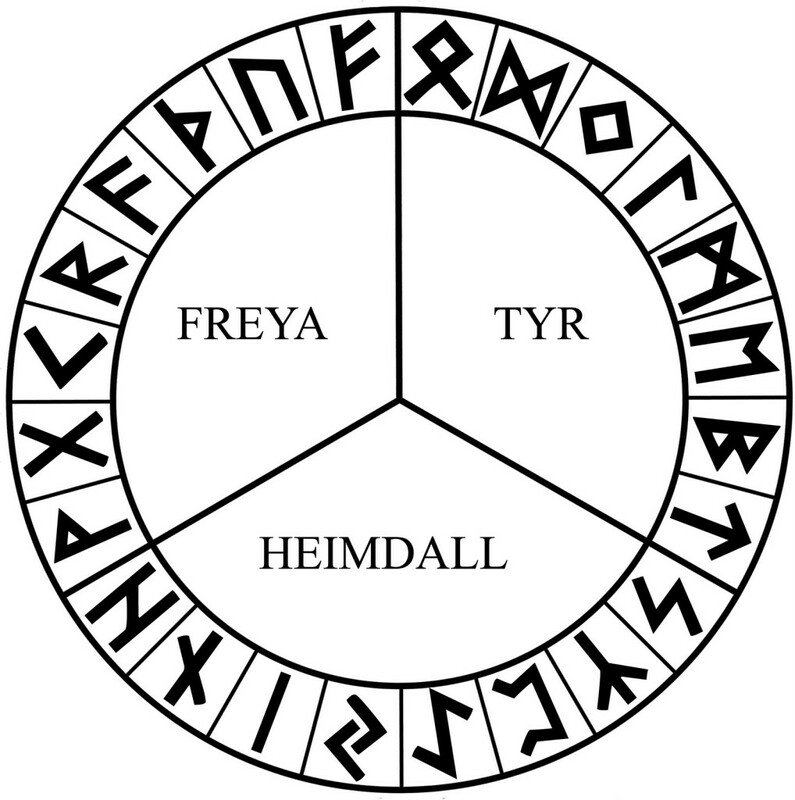 The first aett is Freyja’s, representing the manifesting feminine energy, and comprises the runes Fehu, Uruz, Thurisaz, Ansuz, Raidho, Kenaz, Gifu and Wunjo, representing sounds F, U, Th, A, R, K, G and respectively V, source for their names. The second, Heimdall’s aett, mooring neutral energies, comprises runes Hagalaz, Nauthiz, Isa, Jera, Eihwaz, Perthro Algiz and Sowilo, representing sounds H, N, I, Y, EI, P, Z and respectively S. The last one, Tyr’s aett, representing dominant masculine energies, comprises runes Tiwaz, Berkano, Ehwaz, Mannaz, Laguz, Ingwaz, Dagaz and Othala, representing sounds T, B, E, M, L, NG, D and respectively O. In antiquity, the runes were used for multiple acts or magick: Victory Runes were chiseled into swords, safety runes grazed in viking’s vessels, runes to expunge poison scratched on cups and runes drawn on houses, thresholds, posts, or beams to protect or bring prosperity. When their divinatory power was needed, german priests would cut the branches of fruitful trees, inscribing them with runic signs, resulting the alternative naming of staff or wand. In modern times, runes can be found in great diversity of forms, ready made sets, from bones, wood, nacre or mother-of-pearl, river stone or semiprecious stones. Some still use runic sticks or hardened fruit stones, even white beans runes, as oddly as it may sound. Regardless of the set’s appearance, hand crafting your own is ideal. You can obviously opt for buying ready made sets, but inscribing each rune makes familiarizing its vibration more efficient. A good compromise is buying pieces to later inscribe ourselves. Pieces of wood or plywood, flat river or sea stones, almond or apricot seeds, anything that serves this purpose. As an oracle, resembling Tarot, runes can be drawn on play cards size cardboard pieces. There’s endless possibilities, depending on everyone’s creativity. Usually, red paint is used for runes drawing, as color markers are easily accessible. New utensils are preferably used in creating a rune set: Hand polishing the wood plates using sandpaper, carefully washing the rocks, while oracle cards would be cut from new cardboard sheets. Also using new brushes or markers. As agreed, we’ll now attend the subject of extracting, positioning and interpreting runes. Extracting a single rune is the simplest. Best for this method is a short and concise question. Questioning for a Yes or No answer. After the opening prayer, with our eyes closed, we’ll draw one rune, vertically laying it before us. When opening our eyes, we shall see if it is faced downwards or upwards. If it is downwards, we’ll turn it horizontally not vertically. There are four possibilities. First is the rune named Wyrd. Every set contains a blank rune, uninscribed, of which many believe it represents the karmic aspect, although there’s no historic proof of a blank rune, reason being a badly formulated question, or the Divine Plan blocking the answer. The question will be postponed. If absurdly, same question receives the the blank rune thrice, better stop asking as the answer might not want to be known. Second possibility is drawing an upright rune for an affirmative answer. A reversed rune for a negative answer, being the third possibility. Forth possibility is drawing one of the nine symmetrical runes. These look the same upright or reversed, meaning an unbiased answer. Either the question was too general, or the answer is influenced by future actions. For example, a much too general question would be; Will i get my driving licence? Yes and no… Maybe we will, however on our tenth try. Not mentioning specific details, gives us correct answers, but useless. A woman might ask: Will i get married in July? The answer might be Yes. Now, it could be July of the ongoing year or July, 2057! The answer is correct, but useless… The correct question, would have mentioned the year. A question with a variable answer, for example, is: Would i become rich? This is totally depending on us, how hardworking we are or how little we act. Another simple draw is to find details on a particular situation or person. The answer could be immensely general, so formulating the question precisely is a must. Questions like: How will today go? or what is X like? So that we can grasp the idea before us. Slightly more complicated is a three rune spread. Drawing them in turn, eyes closed, whispering their representation. Drawing along these lines: Past, Present, Future, Reason, Situation, Outcome, Problem, Manifestation, Resolution, Affection, Sickness, Treatment, the possibilities are infinite. It’s the fastest and most precise short spread, and by deeply understanding the meaning of each rune, answers can be very precise. We can better understand ambiguous situations, disclose hidden motivations of people surrounding us and find the most favourable solutions for an array of problems. By finding the cause of a problem, our understanding grows and the course of action becomes clear. There are also more complex rune spreads, like Destiny’s Paths, Wheel of the Week, Wheel of the Year, or Wheel of Houses. Wheel of Fortune uses six runes. First on the bottom, second laid on top, third on top of the first two, followed by the forth. The fifth positioned on the left and the sixth to the right, resembling a tree, a trident or the Eihwaz rune. First rune represents the primary, karmic source of the problem, or root cause, a lesson to learn in order to move forward. Second rune represents the past, what is already there,making the problem escalate. Third rune represents the present, present unfolding of the problem. While the remaining three are future possibilities. Forth rune, in the middle, represents the future outcome without interference, if we let everything run it’s course, ignoring or delaying solving the problem. The left is the negative path, if we act selfishly, destructively or neglectful, furthering our mistakes, deepening our sorrow. Last rune is the positive path, where we act faultlessly, wisely, rationally and undeterred. Applications are practically endless, depending on the aspect of the problem, forethought circumstances, and our outlook concerning the problem. Wheel of the Week is simple enough: as the name suggests, we draw 7 runes, laying them in a circle or a straight line, each representing a particular day of the week. Drawing at sunrise, on the new week’s first day. Meanings can be general (How will this week go?) or precise (How will my health unfold this week? How will my business develop this week?). The rest are as simple. Wheel of the Year uses twelve runes, one for each month, drawing them on New Year’s Eve, or at sunrise on January first. Wheel of Houses can be done at any time, assigning them to astrological houses. It can be done on your birthday for insights into the personality or destiny of an individual.